The title to this rant is a reference to something Craig said a while ago concerning the darker direction his films took compared to his predecessors. Of course Craig’s quote was far cruder, containing his obligatory F-bomb, but what else would you expect from a man who looks like a longshoreman? His implication is Austin Powers spoofing some of the spy tropes of the 1960’s and You Only Live Twice, Diamonds are Forever specifically, required a more shall we say “Bourneian” approach to the films. I’m not questioning that the series needed a course correction from the extremely over the top Die Another Day, but you’re telling me the Powers films, those goofy parodies, required the largest film franchise in history to completely retool because they made fun of a few clichés from three plus decades ago? 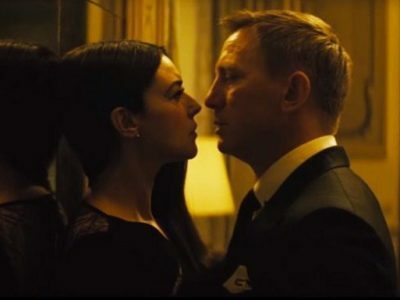 Casino Royale is wiped clean of any of the Bondian panache established over the previous 20 films. 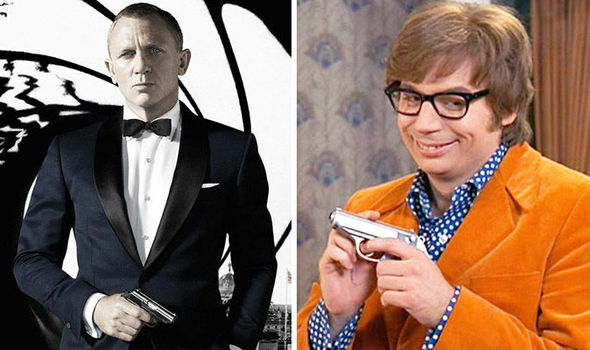 Apparently depicting Bond as a suave, sophisticated man of the world who knows what he wants and how to get it, is impossible because Mike Myers put on a bad wig, false teeth and a horrid pair of glasses. 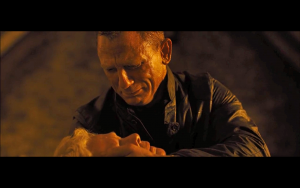 Quantum of Solace is basically just a shot for shot remake of the third Bourne film, because EON shan’t have an original thought any longer. Skyfall, is where thing get a bit weird, suddenly, EON became obsessed with creating gritty reboots of the Powers plot lines. Two films ago they tore the formula asunder due to Powers shenanigans and now he seems to be an underlying template to the franchise. For example once Craig is shot off the train in the pre-title sequence, he spends the first half of the film trying to get his “mojo” back, just as Austin does in his second film. 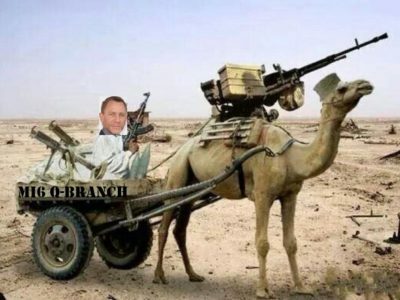 Craig’s Bond is a wreck wallowing about in his own misery and self-pity while bumming around some third world country. 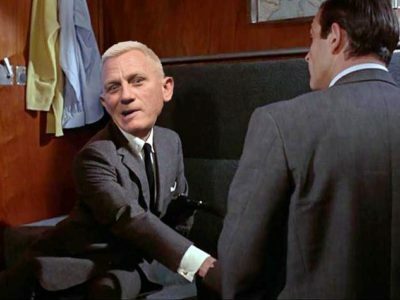 Once he decides to return, he fails all of his physical and mental tests, eventually his self-doubt reaches its apex when he can’t shoot a glass of whiskey off the doomed Bond girl’s head. However like Powers he realizes he had the power of the mojo inside him all along when he suddenly and effortlessly disarms and incapacitates all of Silva’s men in an instant and finishes the film with a renewed vigor. You knew this was coming, the most egregious example by far, SPECTRE and the brothers Bond. What was a most ridiculous plot device in a campy spoof comedy is suddenly and unapologetically made canon in the Bond mythos. Now the most ridiculous thing in the bond catalog is no longer double taking pigeons, invisible cars, bad CGI or even Bond in space, no, now we have this absurd coupling of Bond and his nemesis by a familial link! 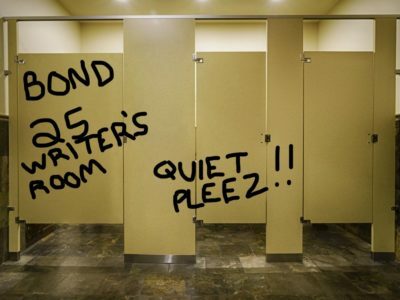 On top of the crap plot line the meeting at SPECTRE H.Q. contained gritty versions of Powers characters; Frau Farbissina is most certainly in attendance! One has to wonder what Bond 25 has in store. A morbidly obese Scotsman? A tiny person? Blofeld’s teenage son? We can only wait and see; perhaps we’ll finally get those gritty “Fem-Bots” we’ve all been waiting for! Bond got a double first at Oxford, was a naval Commander and an acomplished gambler. 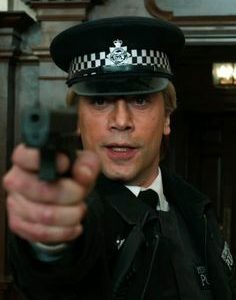 As played in the film he would have been rather more at home on a council estate beating up old ladies for their pensions.